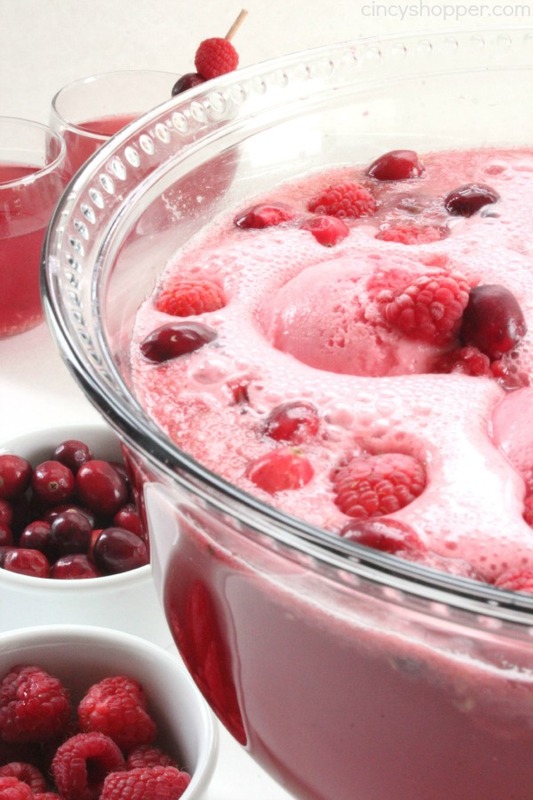 This Cranberry and Raspberry Holiday Punch makes for a super Christmas punch idea. 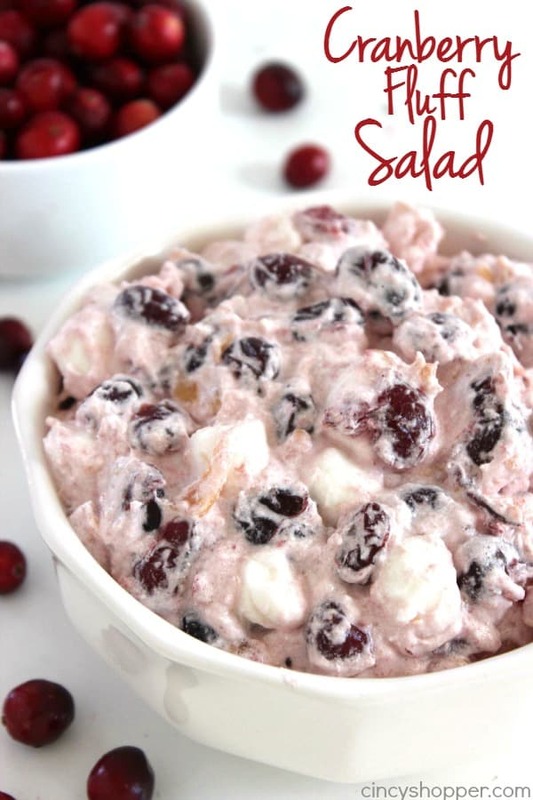 Loaded with cranberry, raspberry, lemon-lime flavors, and then topped with raspberry sherbet, it is sure to be a favorite at your holiday parties. My family adores their punch and it is necessary during the holidays. 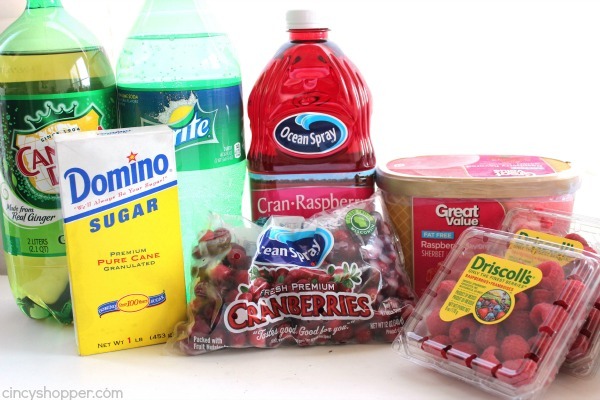 At Christmas time, we are always a fan of cranberries, which pair well with raspberries. 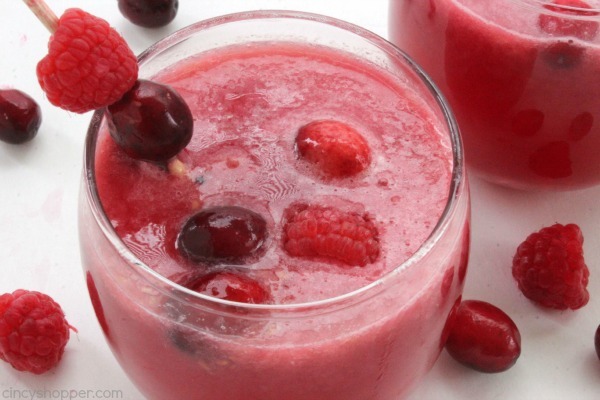 The tart cranberries pair well with the sweet raspberries. Add in the ginger ale and the lemon lime soda and this punch is almost complete. 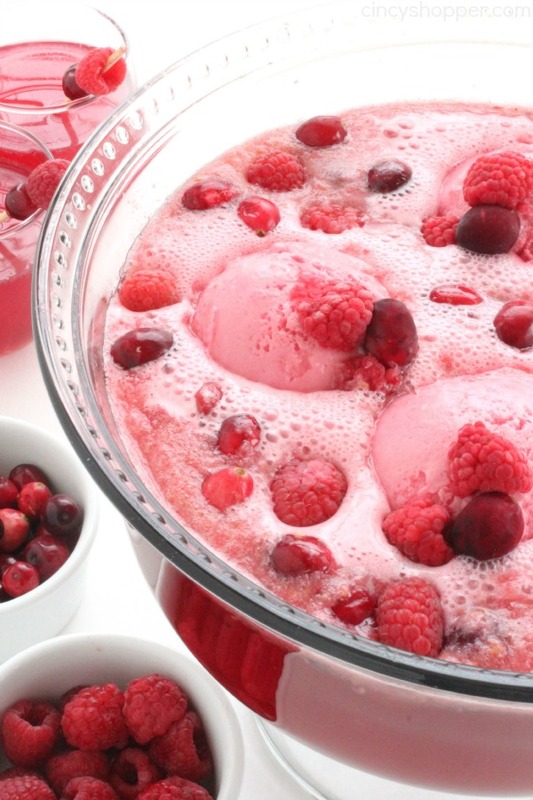 We like to add in the raspberry sherbet to make it over the top refreshing. We had a holiday get-together with a couple of friends this past week and as usual, this punch was hit. I will normally use my very large punch bowl but since we only had a couple of guests, I used a smaller bowl. I am super anxious to make a extra large batch for our family for our Christmas Eve get-together. The Holiday Punch recipe is so super simple but is always one of the first beverages to be consumed. 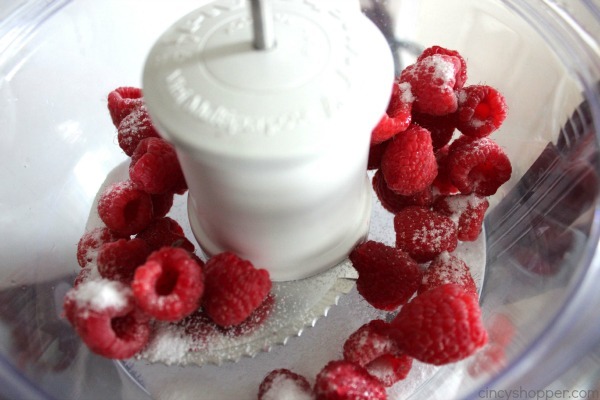 The blended fresh raspberries always make for a great addition to this punch. I love the extra flavor they add. 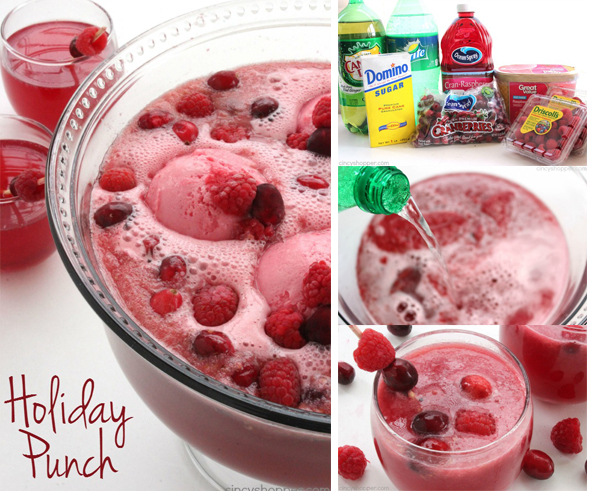 If you are having a party during the holidays, you must make this punch. Your guests will love it. Feel free to add in lemonade too. The extra lemon flavors can be great too! 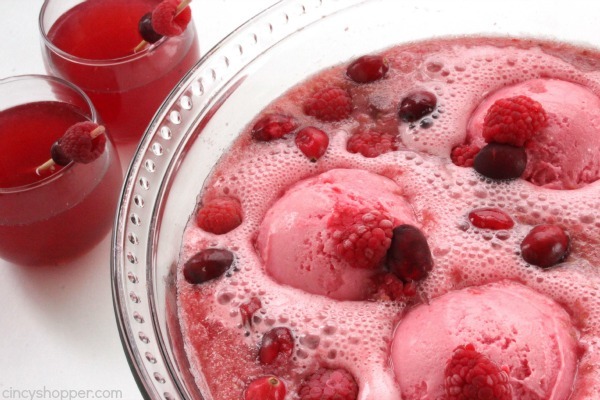 Punch is one of those recipes that you can add additional flavors and no one will know. Just do a few taste tests to make sure everything is blending well together. 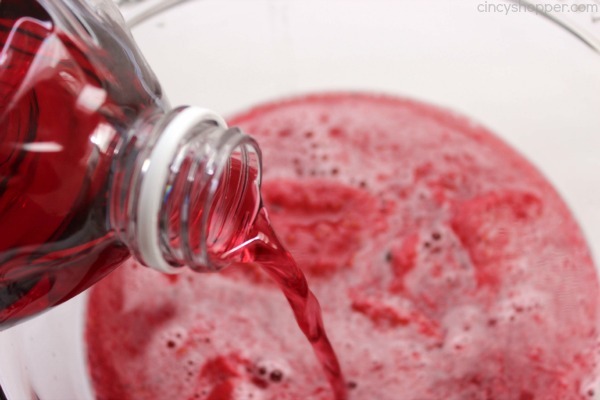 You can make this punch quite quickly, just be sure to get all of your liquids chilled and your sherbert prepped. When guests arrive, you can just dump everything right into your punch bowl to serve almost immediately. 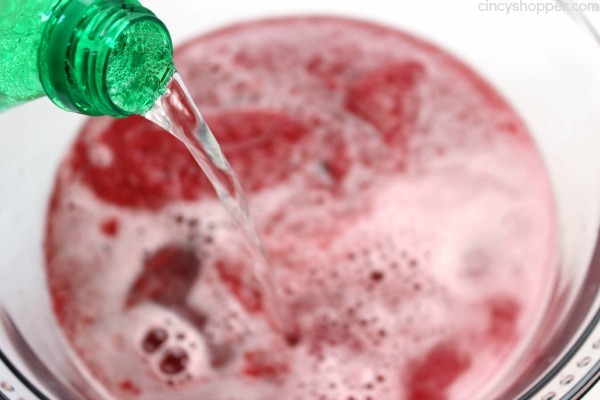 Add juice, ginger ale and soda to punch bowl and stir. 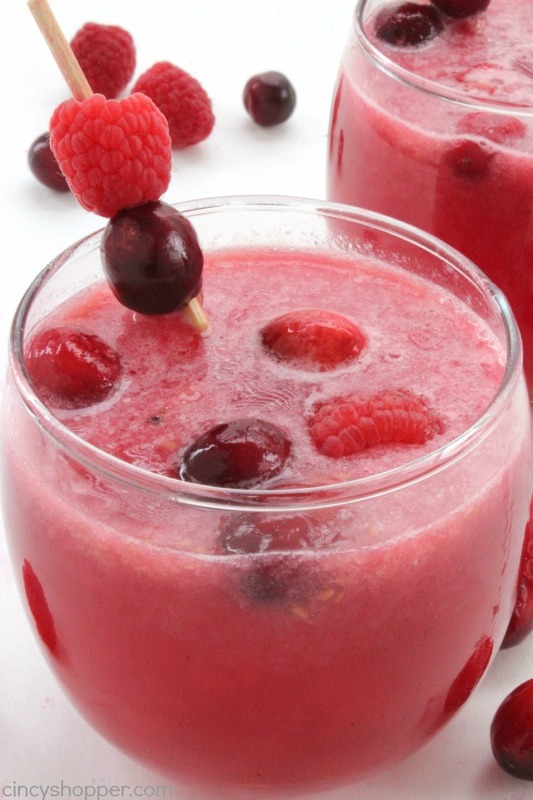 Garnish with ice cream, cranberries and remaining raspberries. 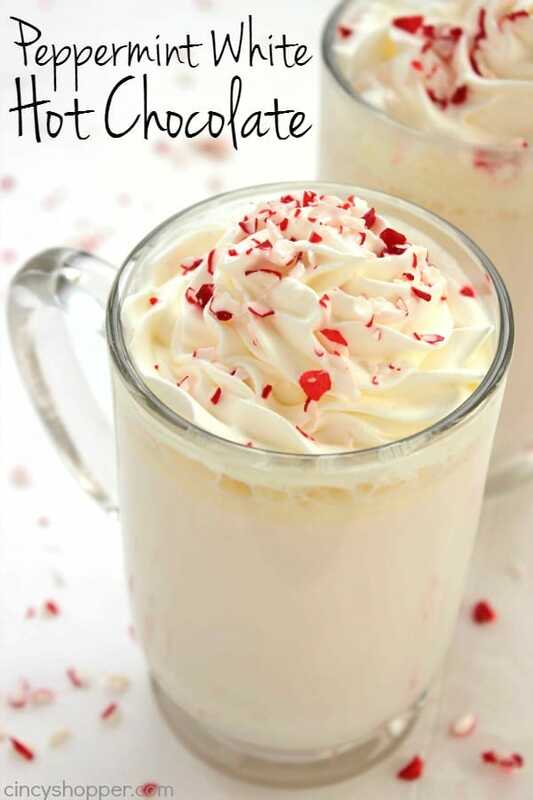 What holiday beverages do you serve at your holiday parties? 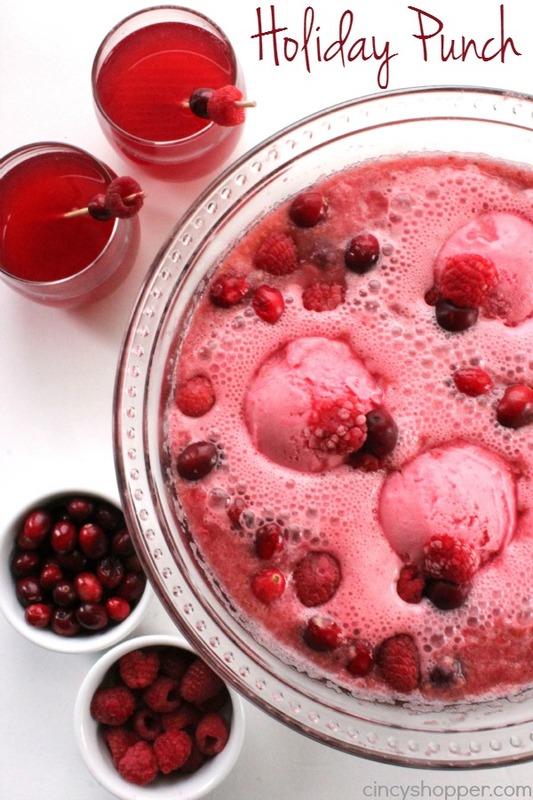 This Holiday punch is perfect for Christmas and New Years. 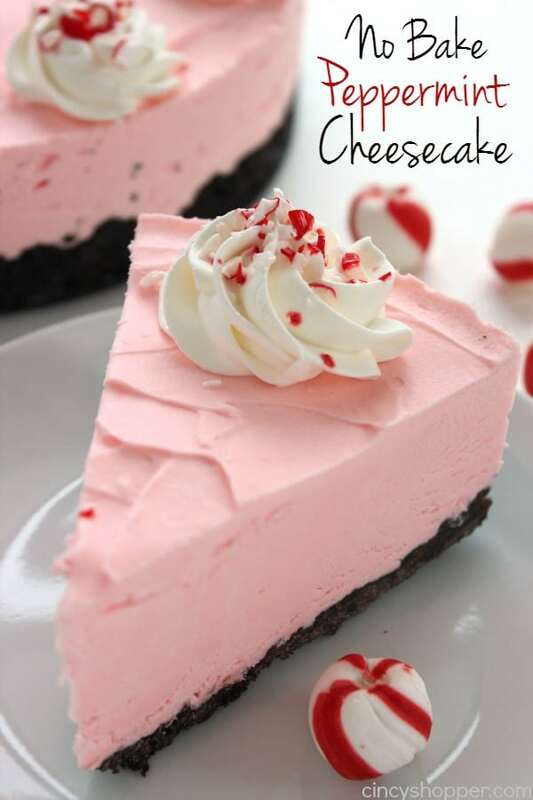 Sounds wonderful, thank you for the recipe! If you have time, I would love for you to share this post over at the Holidays Celebration Link Party that is live right now (http://keepingitrreal.blogspot.pt/2015/12/holidays-celebration-link-party-6.html)! 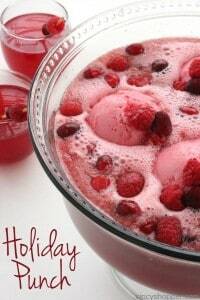 I love adding sherbet into my holiday punch, it makes it thick and creamy! It’s also super unique compared to other punch bowls! 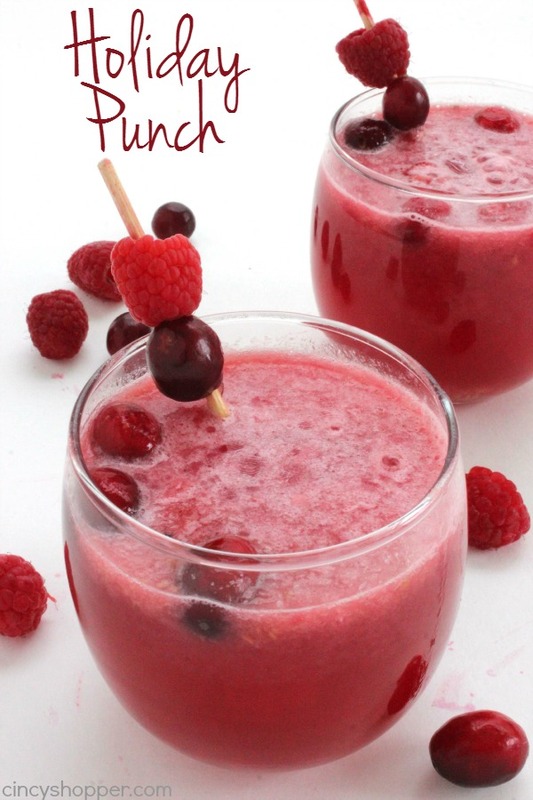 The fruit punch looks delicious! Thanks for sharing it at Motivation Monday on Mom Home Guide! I love this holiday punch recipe. 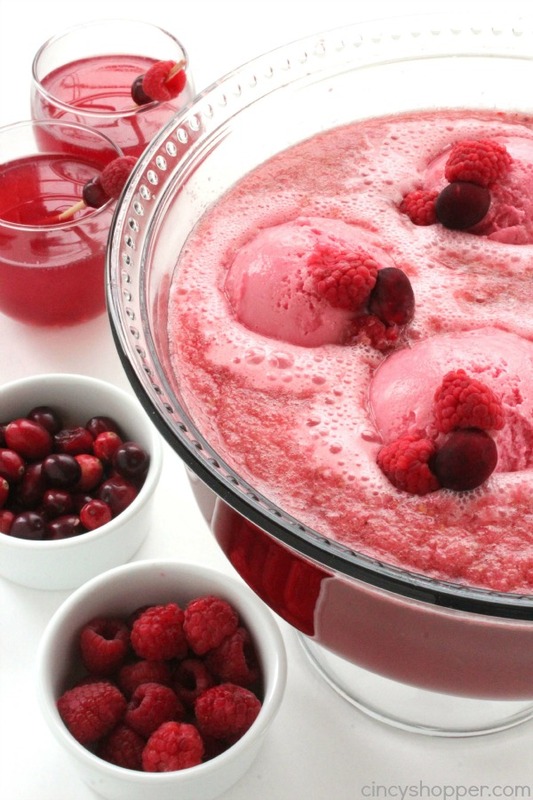 The sherbert is a sure way to make it refreshing without all the fat of regular ice cream. I would like this beyond the holidays though. Easy to prepare.